Christmas Trees and berry decorations at sunset at Russo’s. This week at Russo’s, look for our newly arriving holiday flowers, wreaths, garlands, poinsettias, fresh decorative greens and locally-grown Winterberries. 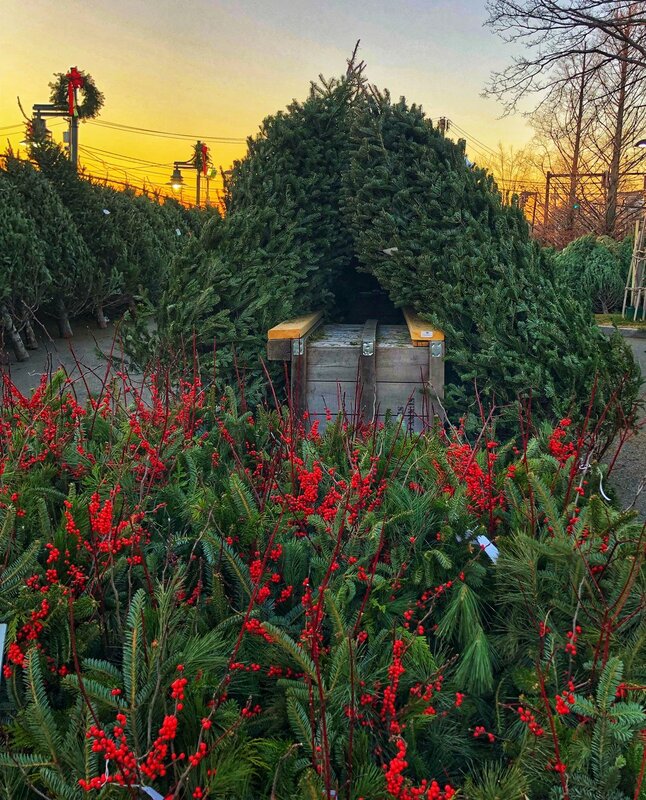 Plus, we have a gorgeous selection of Christmas Trees for the last-minute shoppers! Decorate your home for this season with all of our new products. Organic seedless grapes $3.98 lb. Freshly packed local apples sold in approx 4-5 lb. baskets $.69 lb. Extra fancy firm local butternut squash $.79 lb. Fresh extra fancy zucchini, eggplant, extra large peppers $1.49 lb. Golfetta imported Italian salame $14.98 lb. Tuscan ham house prepared, herbed and baked premium quality $8.98 lb. Parmigiana Reggiano aged 24 months $14.98 lb. Prima Donna aged gouda cheese 48 months $13.98 lb. 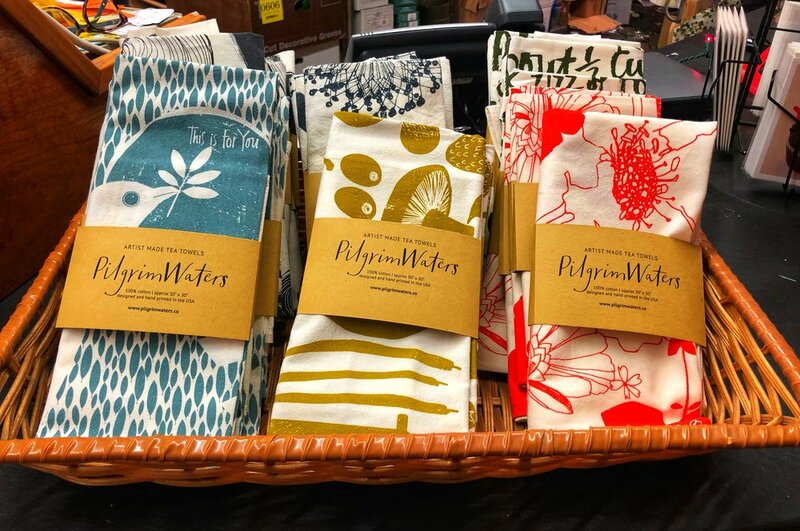 This week we are loving small gifts and stocking stuffers in our store, such as these towels designed by local artist Susy Pilgrim Waters and the amazing Massachusetts-made organic Srirachas and Salsa from Kitchen Garden Farm in Sunderland. Massachusetts-made organic Sriracha makes a delicious stocking stuffer! This season, you will see many pomegranates, quince and persimmons at Russo’s! Want to know how to cut a pomegranate? Watch our Tony Russo’s “Tony’s Tips’ here to learn. Watch all of our latest “Tony Tips” by Tony Russo by following us on social media (links below!). 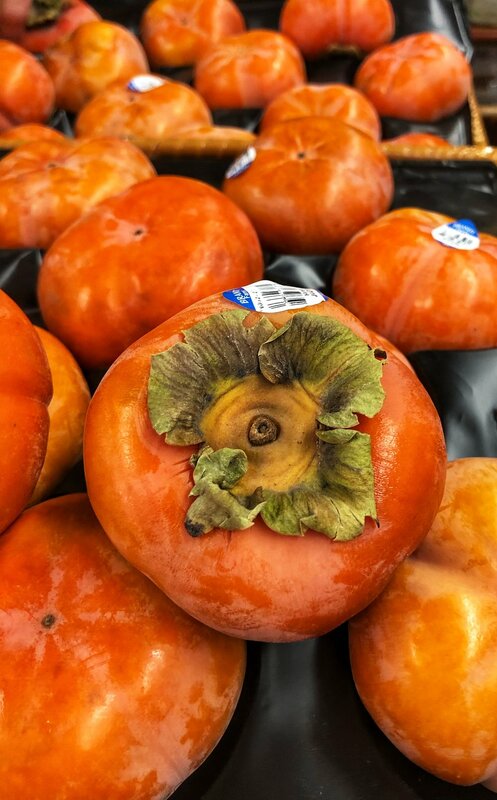 To learn about persimmons, check out our tip on Instagram. Amaryllis is one of the most spectacular flower choices for the holiday season!